The Blues head the Renegades Pool, while the Saints and Tigers sit atop the Stars Pool after this evening's matches in the Vic SUPER SLAM. 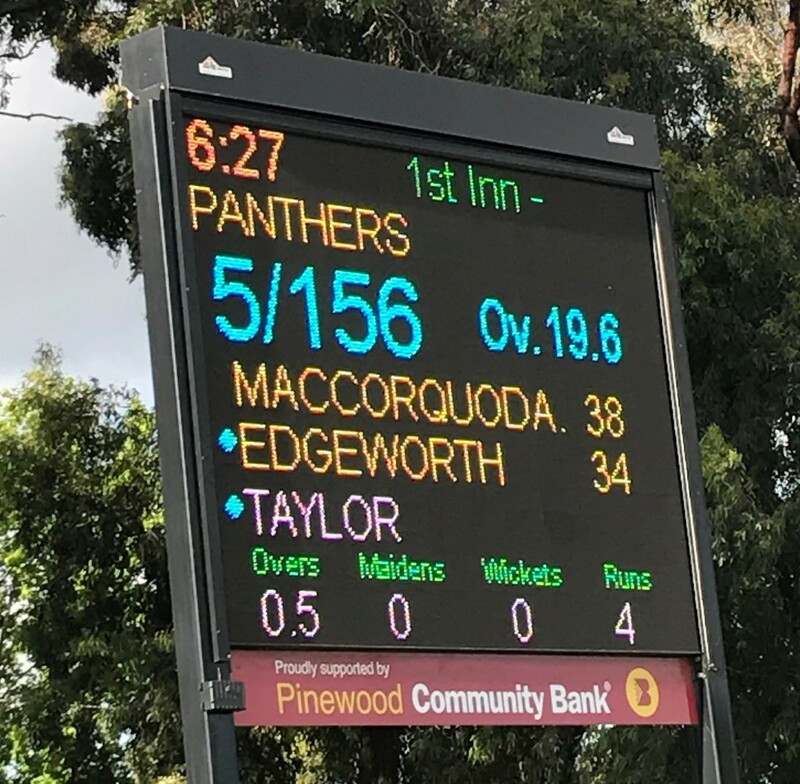 There was a sensation at Merv Hughes Oval when the Dogs v Uni match was called off after two overs due to an unsafe pitch. Dogs' Opening bowler Hamish Winter-Irving's front foot went "through" the crease in his delivery stride, causing some damage to the pitch. Despite attempts to repair the pitch, the umpires deemed it unsafe to continue and abandoned the game, with Uni 1/5 at the time. In other games, the Blues held out the Lions and the Bombers defeated the Kangaroos in the Renegades Pool. In the Stars Pool, the Tigers chased down the Panthers' target with four balls to spare, the Heat had just two balls to spare against the Swans and the Magpies bowled out the Hawks in their clash.